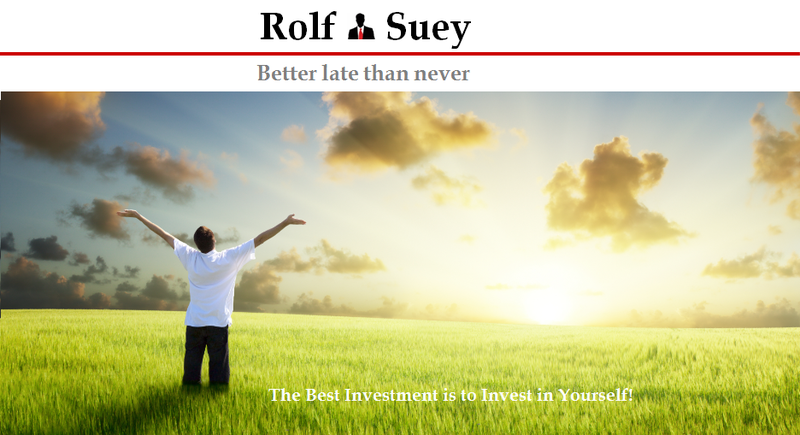 Rolf Suey - Better Late Than Never: How good (bad?) is Singapore economy now 2016? - Hear from the ground! How good (bad?) is Singapore economy now 2016? - Hear from the ground! 8-9 months have passed since I first wrote the below articles – How good (bad) is Singapore economy now (Part 1 & 2) last year! Let's hear from the ground TODAY how the condition of the economy is now? It's been now two years since oil price started its downtrend in June 2014 after Brent crude peak at $112 per barrel. Last year the pain has already been felt when minority start losing jobs and bonuses were cut. Now, the impact had been more or less wholly felt! Basically there are no more new projects and backlog projects are either finished or finishing. Worst of all, there is no visibility of new projects ahead. Many companies already suffered losses and paying out salaries each month is a big pain. Those with debts are hit even more having to service their loans on top of the reduced revenues and profits. Recently, instead of spending so much time delving into stocks, I had been busy scrolling phone books and meeting lots of people/friends in the industry lately. I also met up with one of my retired ex-mentor boss who sold the company to the MNC. It is fantastic listening to him what to do during crisis. Anyway, you guess it; the situation is bad and worse only! Maybe the worst has yet to come! Retrenchments are widespread! You may have just heard from the news on TV or newspapers, but for me, it is people whom I know. Nowadays, it is so common to receive messages asking for assistance in job opportunity or people. Those not retrenched, some have salaries and allowances cut significantly up to 30-40%. For those who managed to keep their job, life isn't any easy either. They were tasked to do multiple jobs and can be so stressed up! Of course there are also those in better position still busy with the few existing projects recently contracted. Then again, many cost cutting measures companywide also affect them. I met many veterans lately. They were in the industry 20, 30 or even 40 years. All lamented that this is the worst ever crisis in their entire career. While the 1980s oil crisis is bad but there isn't as many excess vessels/rigs compared to this one. In my opinion, the main issue is the cheap credit over the past 4-5 years. Since financing is so easy, newbuilding is severely over-supplied and now the biggest bubble ever, much worse than the 2009 crisis. Therefore even if oil price is to recover, you need many years to absorb the oversupply in these idling vessels before business prosper again. Huge global MNCs are announcing slashing of jobs like tomorrow no longer matters - one round after another. If you think the "Ang Mohs" are cruel and have no feelings, at least some Ang Moh company (like mine) still compensate based on number of years (1 year 1 month) plus notice period. Others are cutting salaries and allowances such as handphone and other benefits. There are those who worked 3-4 day week also to relieve the company’s burden. If you think this is only for “Ang Moh” MNC or local SME, sorry folks you are wrong. Below is an account I heard from the horse mouth of how a local big listed company force employees to leave the company without having to pay them compensation. For instance, the boss will first give you impossible task to fulfil. If you cannot complete as tasked (I already said impossible task), you will be shamed frequently in front of group meetings. After hurting your emotions and if you still stay, they will then cut your salary by high double digit percentage. The younger ones with high levels of dignity and fewer expenses will then leave at this stage. For the older ones with family who can throw away their dignity and clings on, the company will use the following “unorthodox strategy” as their last resort. The HR will offer the employee opportunity to work overseas. Normally it is in location of lousier working conditions and yet with same pay without any additional allowance for accommodation or your family. With this, you will then have no choice but to resign. People showing their ugly true colors in times of crisis! There is saying “True colors can only be seen during crisis!” It is absolutely true. Due to the job insecurity, you will start to see many “小人 (small people)”. 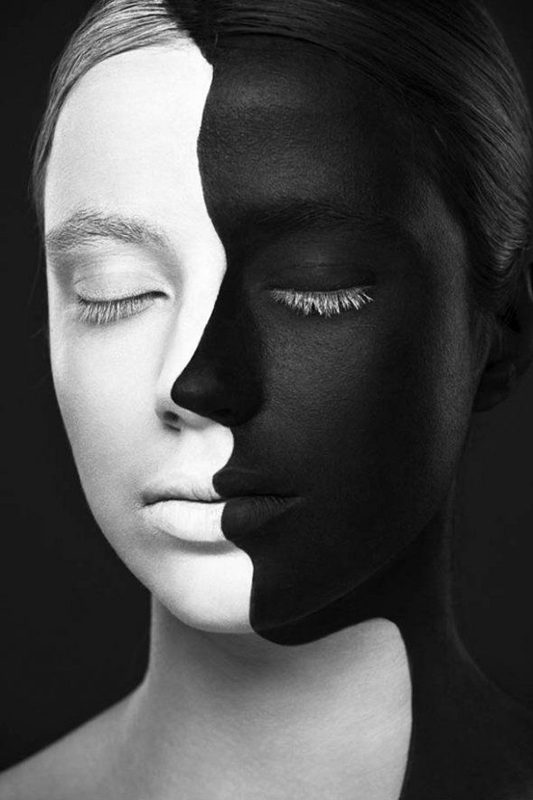 It depicts the uugliest side of human nature. People who use to be nice will also soon become scumbags backstabbing and bitching in order to survive. And he/she can just be your closest colleagues during the good yester-years when time is good! As what I expected, it's definitely not just the O&G industry being affected. I heard this friend who is the boss of plastic manufacturing plant in China for last decade. Recently business is so bad that he has to shut down his plant in China. He has since returned back to Singapore and is driving taxi now. You may wonder why doesn’t he find a job in Singapore. This is what I asked too. The answer: "Singapore plastic industry is even worst!" Moreover the idea of finding a salaried job sometimes really does not bode well for someone who has been a boss for decade with tens or even hundreds of employees under him. Friends in electronic sector say it's not just now for them that the economy is bad. It's been a sunset industry already for a long time already. Profits are declining in the last decade, with more and more divisions closing down. They told me at least O&G sector is booming in the last decade and we had already earned our share of the money. In contrast, they had been suffering for a long time already! "Well, you know, the dream during that time was to open up to 24 or 30 outlets all around Singapore. The rental was then affordable. But as the rental became higher and higher and higher, we find that we're just working for the landlord to pay off the rental,” she said. “When I first started, (the rental rate) was S$9 per square foot, today it's S$35 per square foot. So, you know, we decided that we shouldn't embark into opening more shops." Perhaps only the REIT investors here will think that rents can continue to go north and they can get rich and retire easily! Or for some who think that opening a Café means entrepreneurship! My wife has close dealings with the hotel sector. Hotels are just slashing rates and competition is fierce. Those hotels that use to be so arrogant and rigid are now having a complete change of attitude giving all sorts of flexibility to their clients. Those still doing ok – Civil Service of course! Well, it is certain to have many people in Singapore still faring relatively well. For example, those in IT / Data, healthcare, education and those in basic necessity consumer segments. But do bear in mind that during a deflated economic conditions, normally the manufacturing sector will be the first to be hit, followed by the consumer industry, then even the stronger sectors will be hit too! Perhaps the most resilient sector will be civil service, but still, bonuses will also be reduced. I remembered during the 2003 crisis, even many civil servants were forced to leave! How a year has changed. Last year this time, people are still enjoying the bull market and best of times. Having already quite a doomsayer then, I was totally ignored. So sometimes it's not difficult to differentiate the ones that speak the truth and those who only speak what the majority likes to hear for the primarily benefit of themselves. Time is the critical factor. Nonetheless, I considered myself so blessed when people are advocating buy or spend and I was advocating to myself, sell, cash out and invest wisely, back then. While I am financially and mentally prepared much earlier than most of my peers, emotionally I am still really affected because you seriously cannot be that happy when people you know lose their jobs or are not doing well? I know there are many wicked and selfish people who are happy when others are not doing well, and vice versa. If that is you then please be pathetic about yourself because one day the same situation is very likely to be happening to you! And I am sure this kind of people will not do so well in life either. The downsizing process in company just like any other companies is an expected truth for me. What I did not expect is how fast the process is really accelerated. This is despite my company still reporting healthy profits with a strong balance sheet. It often takes years to be good, but months to be bad. Famous investor Ray Dalio always warned about the asymmetric risk to the downside! To me, the worst has yet to come! Nowadays it seems in me that I am always expecting the unexpected to happen compared to the mainstream public. Not that I am a paranoid, crying and fretting. I am just being prudent. Just like in my article last year, the whole idea is not about worrying what will happen, but instead the greater importance is for us to: UNDERSTAND, ANTICIPATE and then we can TAKE APPROPRIATE MEASURES now. More importantly for those smart one, you will be able to see the GAP between the human perception and reality, hence spotting great opportunity during this time to profit from it. My ex-boss told me during our meeting few weeks ago that Crisis is the best time to Plan. Once you have the plan, then when the time is right, you will be able to execute your plan immediately and way ahead of the rest who did not plan. For the average-middle class Singaporeans, if you were to understand my philosophy earlier and take action last year, you should be at least much better off today (or in near future) as compared to the rest! In case you were one of those cursing and swearing me last year, but now you kind of understand or agree with me, at least it's better late than never to still take action now! If you are one of those still with very high ego and totally hate what you are reading now, just ignore. You will be just fine because either you were already born wealthy or you already have loads of cash on hand or you have an iron-rice-bowl job. If not, I wish you good luck. Even if you belong to the former group in safe hands, do remember this: your next generation may suffer, i.e. if you already have kids or plan to have kids in future! Looks like this is the U-shaped downturn that everyone was expecting in 2008. Yes sort of, but we cannot understand the central bankers who may do whatever they can to boost the economy once more just like in 2009 and 20101. Like you, i am actually pretty worried on the economy. The growth are stalling and earnings are falling. This despite the aggressive policy central banks have rolled out. People seek shelter to high yielding reits so this will one day become overcrowded and formed a bubble. Do not underestimate what the central bankers can do to stimulate the economy! Hehe.. how many times more they can do is the topic we should be more concern with. Seeking shelter in high yield hence Reits. Actually unlike urself and most others, I do not think that is the main reason why people are running towards Reits. Instead I have a different opinion. I think that Reit is going to rally in the next 3-4 months! So maybe it's even not a good time to sell Reit if u r trading. This is because in a short while time Fed is going to make use of Brexit as a reason NOT to raise rate or may even cut rates citing the poor economic conditions! Ur comment is a bit strange. I did say "in case" and that is a metaphor. Perhaps it's the obvious reason why u r Anoymous! Yes I did sometimes think too much, but at the very least I m not always thinking too much to benefit myself alone nor any selfish act, but instead thinking of how to have "win-win"
Rolf, I come to a conclusion, that as long as the earth rotates, there will be years of great plenty and there will be years of famine. In time of past, Joseph was given wisdom to go through it all. While I am not a Christian, I agree with lots of principles bible thought! Joseph ability to decipher the Egyptian king's dream of "skinny cows eating fat cows" is a true godsend. And saving during harvest is true wisdom. The 7 years harvest and 7 years famine is about depicted in Jonathan Cahn's book Shemitah. Assuming last 7 yrs is harvesting but u already committed / spend ur wealth, so now u realised that it's gg to be famine soon n u r facing retrenchment, my question to u is then "what should u do?" Quote : "My ex-boss told me during our meeting few weeks ago that Crisis is the best time to Plan. Once you have the plan, then when the time is right, you will be able to execute your plan immediately and way ahead of the rest who did not plan." This is what last AFC has taught me and probably many of my generation. From AFC onwards; I only spent my last year's bonus till now and no more last year bonus. I will be cautiously watching my cash flow tightly. But hor, I think that grasshopper also plan a lot wan lar... just that it never like to put on lips... bcos it is already portrayed as a grasshopper. Then again, action is also impt. so plan and action is like "mouth and teeth!" comes hand in hand. People who go thru more ups and downs in life in general either have more wisdom or can craft wisdom more easily! And wisdom is normally a positive consequence from experiences, exposures, failures and pain. If a grasshopper says he doesn't plan, he is calling the bluff. Only his plan is "Agak, Agak" or based more on fuzzy logic one. Like that also can work meh? Always like to say , "crash got sound one"
Then you know work or not lol! But in general plan is still extremely important then followed by crash got sound! Quantitative easing only works when you are the only central bank doing it. When the whole world is doing it, it's a race to the bottom. Race to bottom for the whole world, isn't it scary! Do u think it will happen or already happening? In any case, if the global economy continues to deflate, US, Jap, EU will all be easing and easing with all in negative interest rate zone! China will then be printing more (by devaluing their currency further to match the USD depreciation. And that is the time we should really be very worry! These few months made me did some reflections while i was down on luck. Well this luck taught me to relook my portfolio in a different way and to prepare things that i have seem to be blind on. Always reinvent, repackage and reinvest in yourself. And do save for rainy days. Thanks for the great video! Sure u be up on luck soon! Civil service is also closing its doors. But we are sheltered relatively. I still have colleagues commenting we are paid peanuts (10k) and people lamenting about bonuses. I told my Boss and my friend that since the application approval has been delayed twice in a year, I said if he can find a better offer, just go. My boss said, it's tough, market is bad. I said I know. She was very surprised and ask how do I know. I cannot tell her I invest and keep my pulse on the markets Muhahhaha so I said "I keep myself current"
Problem with Singaporeans is expectation is too high. Everyone think they are underpaid and overworked. Met a friend working in polytechnic as lecturer for Marine Engineering. He said, 3 years ago, they cannot find lecturer. Now one opening, at least 30-40 candidates applied. I can help on the tuition part, since I gave tuition for 10 consecutive years, be it in primary, secondary or even junior college! "Problem with Singaporeans is expectation is too high. Everyone think they are underpaid and overworked. " imo we have been in eye of the storm since Lehman. QE just made us walk backwards to stay in the eye. The eye is getting smaller as other sectors start getting hit. We have no choice but to walk through the storm, the further we delay the worse the walk. BBC just did story 2 weeks bout the ship park outside spore and Rotterdam. The parked ships are back big time and is good barometer of the world economy in the doldrums. Good luck to our strawberry generation. Rolf the messenger with bad news gets killed so no point saying too much to others. Yes we say cause we see it as opportunity but others only see you as nay sayer. Fortunes are made and lost in times of crisis. Tks for commenting and to drop by. Like you, and many others who commented here, we are most likely the minority out there who belongs to the same camp of thinking. Oh yes, parked ships is a good barometer indeed. And in addition, warm or cold stacked offshore vessels n rigs - plenty! Hehe... I really like your phrase of me the messenger and getting killed. I have a good laugh about it. Tks :-) But frankly, while I m not a stubborn person (contrary to what many may think), I will be really quite strong in my beliefs when my gut, heart, head n everything in my body tells me that I m doing the right thing! So 死而无憾 maybe! lol!!! Fortunes cannot be destroyed just like energy, it can only be transferred from one party to another. I met many veterans lately. They were in the industry 20, 30 or even 40 years. All lamented that this is the worst ever crisis in their entire career. While the 1980s oil crisis is bad but there isn't as many excess vessels/rigs compared to this one. In my opinion, the main issue is the cheap credit over the past 4-5 years. Since financing is so easy, new building is severely over-supplied and now the biggest bubble ever, much worse than the 2009 crisis. Therefore even if oil price is to recover, you need many years to absorb the oversupply in these idling vessels before business prosper again." now, thinking back, i lack the foresight to see what this boom of new build would mean down the road. back then, were the golden years, and everyone's judgement was clouded. we all lived in the moment. (we didnt have a Rolf back then. haha) just like the Joseph story, 7years of harvest followed by 7 years of famine. we all learn and experience, and hopefully come out wiser from it. I did not see it as early either! Otherwise I will have cash out in 2013 or early 2014. Nope I lost money too! Frankly learning from own experience is not as easy even, let alone others or book. Many owners/CEO whom I know and was already hit badly in 2009 after huge speculation, but instead of being conservative in the 2010, they continue to place even bigger bets thinking this time is different! These r people I know who owned companies in hundreds of millions with wealth of life and business experiences. They also make the same mistake. Perhaps its human nature being obscured by greed regardless of how rich, exposed, or experience u r! Therefore I strongly believe we r still young and should be able to witness another 1-2 "big one" in our life time! Just be patience and never forget this experience. CW8888 mentioned he learnt during AFC, wow... that was almost 2 decades ago!!! Joseph had a very tough and terrible life before he is enlightened n blessed! Maybe a strong and blessed human need to somehow always go thru woe before they enjoy the weal. Wish all of us here patience n prosperity! Own experiences are no use one too. i seems always to buy and sell too early. If not many times richer already. Sama sama here! Buy sell too early is ok if in the right trend curve. As long as don't get stuck in a situation where u have to rush towards exit/entry of the small door with 100 of people rushing concurrently! i just did it purposely because i KK lol. i(speculate) on the 1st day of Brexit. If i do nothing, then i am 5 to 6 k richer now lol. Now only 1 to 2 K.
Why did i buy for fundamentals suddenly change to market sentimental speculations? i think i follow the markets too closely lol. i do it everyday since 1987/88. Haha... wow wow 1987/88 is a long time! Many of the bloggers or readers were not bornt! I am only a kid also. Nod nod, follow market too closely is no good! Then hands will get itchy if u do nothing. please stay positive and optimistic. one thing we can definitely influence and change is ourselves.